Kyler Murray was college football’s best player in 2018. He won the Heisman Trophy in his first and last year as a starting quarterback. The dual-threat signal-caller posted 4,361 passing yards and 42 passing touchdowns. In addition, Murray rushed for 1,001 yards and 12 touchdowns. Despite all this, it has been unknown wether or not Kyler Murray would play in the NFL. In June of 2018, Murray was drafted to play in the MLB by the Oakland A’s. Last month, Murray declared for the NFL Draft, leaving the door open for him to pursue football if he so chooses. Last week, Kyler committed to participating in the NFL Scouting Combine, adding further speculation to what his future plans were. But on Monday, Kyler Murray made it clear what he will choose to do. With plenty of fans and analysts predicting the Giants will select a quarterback in the 2019 NFL Draft, this is big news. 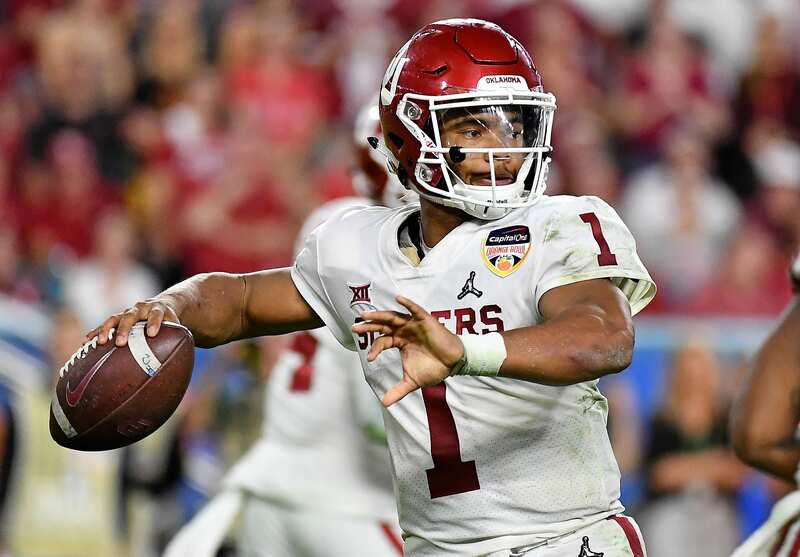 Even if Kyler Murray does not fit the Giants’ mold for a quarterback prospect, another quarterback in the draft pool could be extremely useful for the Giants. With Murray now in the mix, along with Dwayne Haskins, quarterback-needy teams will be competing with each other to get their guy. If someone looks at Murray as their guy while the Giants look at Haskins as their guy, then the Giants have a higher chance of landing Dwayne Haskins. Teams might trade up to select Murray, but that means just one less team trying to take Haskins away from the Big Apple. Kyler Murray is an extremely talented football player. He is a quick runner and accurate passer. His biggest flaw is his size. Scouts will be paying close attention to Murray’s weigh in at the Combine. He was listed at 5’11” in college, but some believe he is closer to 5’8″. Despite his lack of size, Murray displayed pure skills through the air and on the ground in his Heisman Trophy-winning season. If the Giants added Kyler Murray into the offense with Saquon Barkley and Odell Beckham Jr., it could be lethal. If he is able to progress at the next level and prove his size is not an issue, Murray will have a great career wherever he goes.